Being a natural bodybuilder isn’t always easy. Especially when those around you are taking drugs. You don’t look as big as you want to, hit way more plateaus, and can’t recover as quickly as they can. However, it’s also a lot safer, and you can happily say that the body you’ve created has all come directly from you. One of the most confusing topics in the natural bodybuilding world is supplements. Some of them work, some of them don’t, but they all cost money, and the last thing you want to do is waste both your money and time on supplements that don’t help. Today, we’re going to look at 5 of the best supplements a natural bodybuilder can take. Whether your goal is muscle gain or fat loss, these five supplements can help you to reach your goal. No lies, no fancy marketing schemes, just pure efficiency and effectiveness to get you the results you deserve. First up, we have the most obvious supplement that some people don’t even think comes under the ‘supplement’ category. Protein powder helps you to increase your daily protein intake, leading to better recovery and more growth. If you struggle to get in enough protein from whole food, then a scoop of protein powder here or there helps you to hit your macro targets. In terms of fat loss, protein promotes satiety, meaning that you’ll get full on less calories. By consuming a protein powder with or between your meals, you’ll be able to stay full and satiated on your diet. Next up, we have creatine. 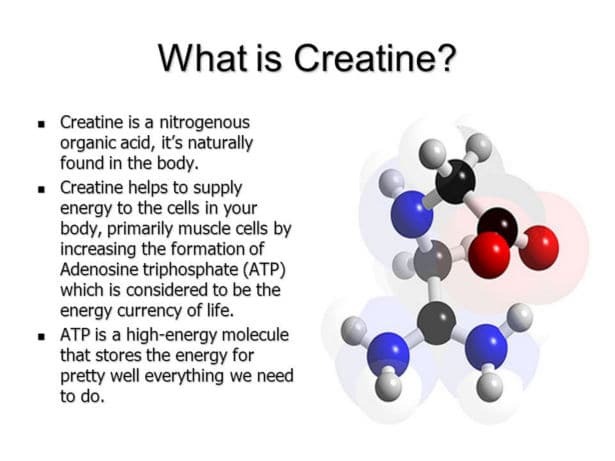 Creatine helps to increase your stores of ATP, the body’s preferred source of energy. By supplementing creatine, you can become faster, more explosive, and stronger. Not to mention, it’s one of the cheapest supplements going with the most research and least amount of side effects. It might even be more important than protein powder as at least you can get protein in abundance from food. However, you would have to consume a superhuman quantity of beef to get just the daily target of 5 grams of creatine. Getting in enough omega-3s day to day can be tricky. You can naturally find it in fatty, cold water fish like salmon, but their purity and expensive price tag can be an issue for most people. Therefore, taking a fish oil supplement will get you everything you need at a much lower cost. Ideally you’re looking for a ratio at least 1:1 when it comes to Omega 6 and Omega 3. However, most western diets are much higher at 8:1, 10:1 or even 20:1. This is where the problems arise in terms of cognition blood circulation, and cardiovascular health. Therefore, cut down on your Omega-6 intake and increasing your Omega-3 intake. Much like fish, it’s always important to keep fish oil in the fridge to prevent it from going off. Whilst most people will have a coffee to wake themselves up in the morning, many still don’t use it prior to their workouts to improve their performance. Caffeine can help you to stay alert, increase your focus, and boost your work output in the gym. This not only makes you stronger, but allows for you to handle a higher volume as well as burn more calories. Essentially, caffeine is one of the best things you can take to instantly improve your performance. You can supplement it with creatine in the form of pills and powders, but you can also just have a black coffee. Pre-workouts aren’t a necessity, and in some cases can be more harmful than good, just a standard coffee will have a similar effect. Lastly, we have Vitamin-D. Unless you live in a consistently sunny climate and spend a lot of time outside, then there’s a high chance that you’re not getting enough Vitamin-D each day. It’s not that the majority of us are deficient, it’s just that we’re not at the optimal level. Vitamin-D is one of the 24 essential vitamins for humans and can be found naturally in fish and eggs. However, these sources generally don’t contain enough to make a large impact on natural levels. Therefore, taking a vitamin D supplement is vital for the majority of people. Vitamin-D helps to improve cognition, bone health, and overall well-being. Most of all, for bodybuilders, vitamin-D helps to increase testosterone levels which, in turn, boosts your ability to grow muscles and lose fat. Taking 1,000 – 2,000 IU of Vitamin D3 (the lowest effective dose) should be enough each day to boost you into the optimal range. If you are looking for higher dose (be careful! ), the research suggests that 20-80 IU per kilogram of bodyweight per day might be the other way to figure out how much supplementation you need. Always supplement with fat sources, too. Low or High: How Many Reps Faster Increase Muscle Hypertrophy?